I received a LOT of response from my appearance on EWTN’s The Journey Home with Marcus Grodi. One letter arrived with this comment, which is followed by my response. 1 Corinthians 1:1:10-17 demonstrates that there was division among the churches and the the four groups were all acceptable. Additionally, the Roman Catholic Church did not exist until centuries later. Help me undersatnd why the RCC is now the only true church? John: Thanks for watching and thanks for asking this good question. I hope that my straight forward answer is not taken in an offensive manner. I am simply responding honestly from the heart in the few minutes I have available right now. Yes, First Corinthians demonstrates that the church in Corinth had factions but they were roundly condemned, as are all divisions, schisms and factions in the one, holy Catholic and apostolic Church. Why do you think they were acceptable? Paul clearly condemns factions (denominations). With all the splits and division among the Protest-ants it “proves” to the world the Father did NOT send the Son. I say this with tongue in cheek since – if the world concludes the Father sent the Sin because of Christians’ visible unity, what conclusions might they draw for a Christianity afflicted by multiple competing factions and sects? And when Jesus says, “If you brother offends you … take it to THE Church” — which church did he mean? The name you mention “Roman Catholic Church” is NOT the name of the universal Church Jesus founded. One needs to be precise in such things. The name of the Church now and from the first century is “Catholic Church”. Roman is simply one rite among many all in union with Rome and under the successor of Peter. Click here for the meaning and history of the name Catholic. You are correct that not all separated brethren believe that the Eucharist is just bread, but precious few believe it actually CHANGES into the Body and Blood of Christ — and those without priests in the Apostolic Succession celebrate the “Eucharist” without realizing that their pastors are no longer able to consecrate the bread and wine. I appreciate you taking the time to write. 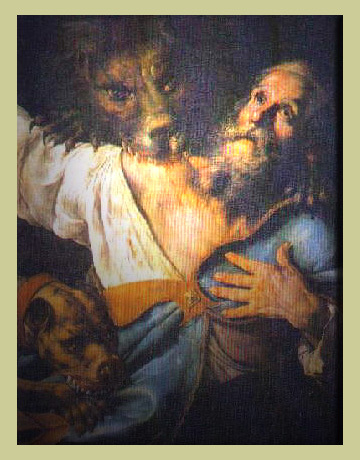 if you are serious about learning more about these matters, I suggest you read my book Upon this Rock: St. Peter and the Primacy of Rome in Scripture and the Early Church along with Crossing the Tiber in which the last third deals with the Eucharist in the Scriptures and early Church — as well as the biblical concept of ONE CHURCH. 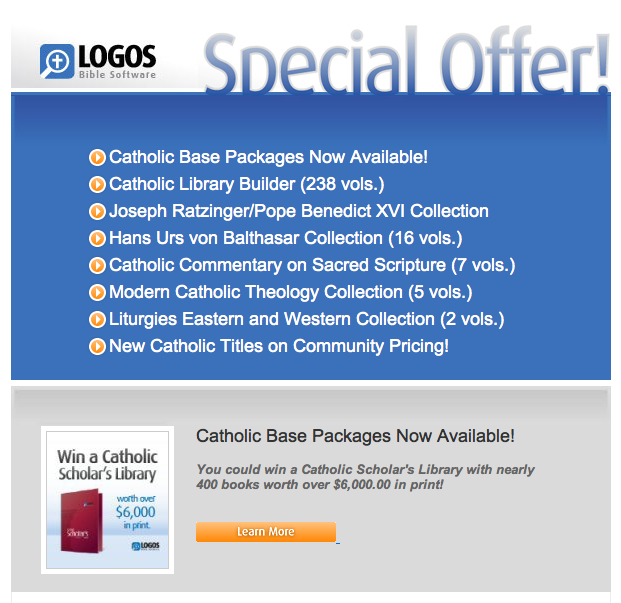 Finally the Best Bible Study Software is Going Catholic! I use this Logos software every day. All my books, talks and research is done on Logos. Now it is expanding it’s Catholic resources. Bravo! And, there’s much more to come. Click HERE or on the image below to view the software and wonderful list of Catholic resources. While there, read my review! Don’t watch this if you don’t like babies. If you came here to learn more about the Catholic Faith you can skip this 20-second video. But for me, this video shows the result of the Catholic Faith — love and family and joy and generations — sharing the beauty of life with the new ones of God’s kingdom.